There is nothing quite like taking a step out of your everyday life in order to look around you and really reflect on all the little things that help make you smile. At this time of year, we thought the natural thing would be to highlight some of the things associated with Easter - and springtime in general - that we love to surround ourselves with! Have your favourites made our list? Are there some things that we've included that you would change or add too? 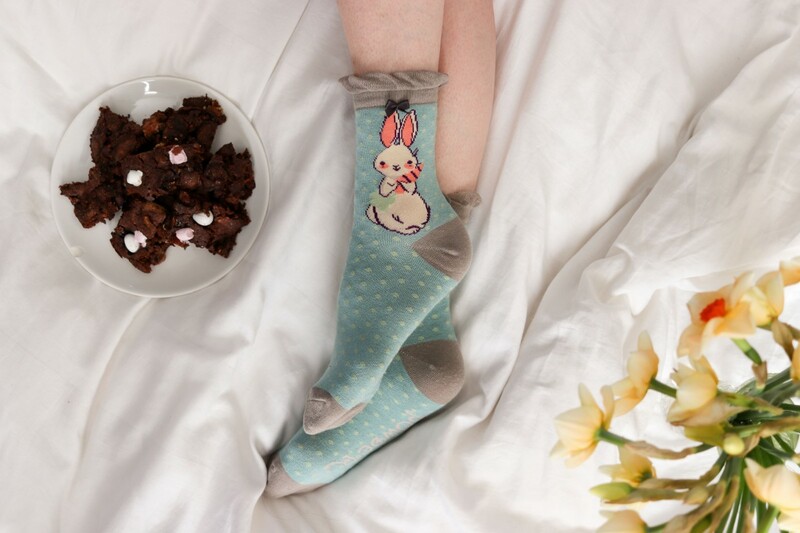 From hot cross buns to our Spring Hare Printed Scarf, there's lots to enjoy and appreciate at this time of year! This Hat also managed to make it onto our Spring into Spring blog post, we loved it that much! 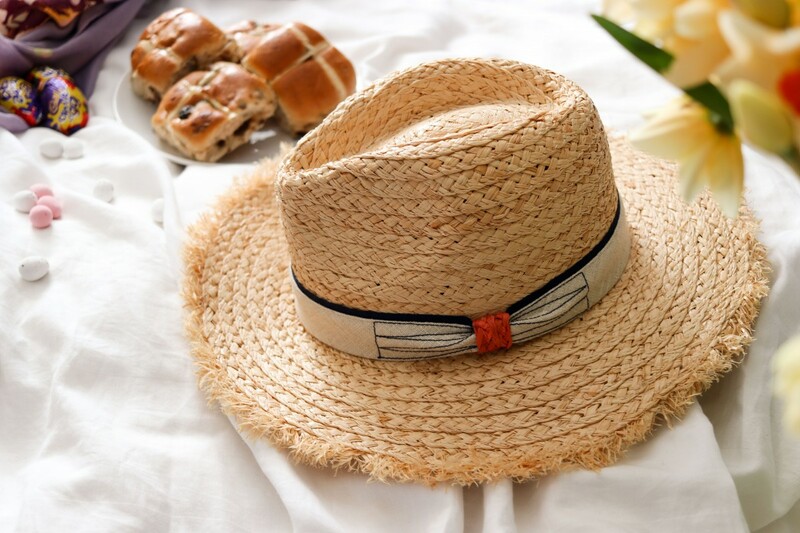 Out Harper Hat is made with 100% raffia, making for both a durable and stylish choice this spring! It’s the ideal staple accessory for long walks when the British sunshine shines, or for when you’re jet off on your travels this summer. Not only that, but as it comes with our complimentary hat gift box, our Harper Hat also makes the perfect gift! 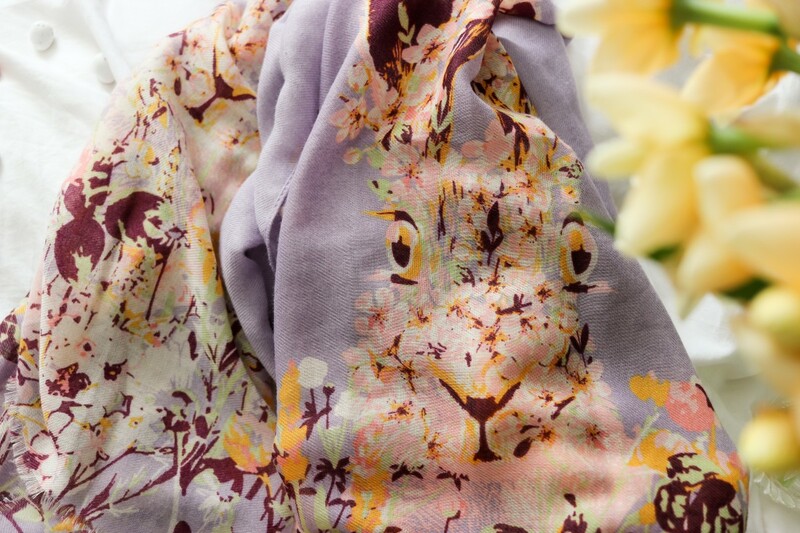 How could we not include our stunning Spring Hare Printed Scarf into our Eggcelent Easter blog? Don’t you just love its cute and quirky design? We love how the woodland foliage comes together in purple and mint tones to create the design of the hare! Perfect for adding to your outfit this springtime! 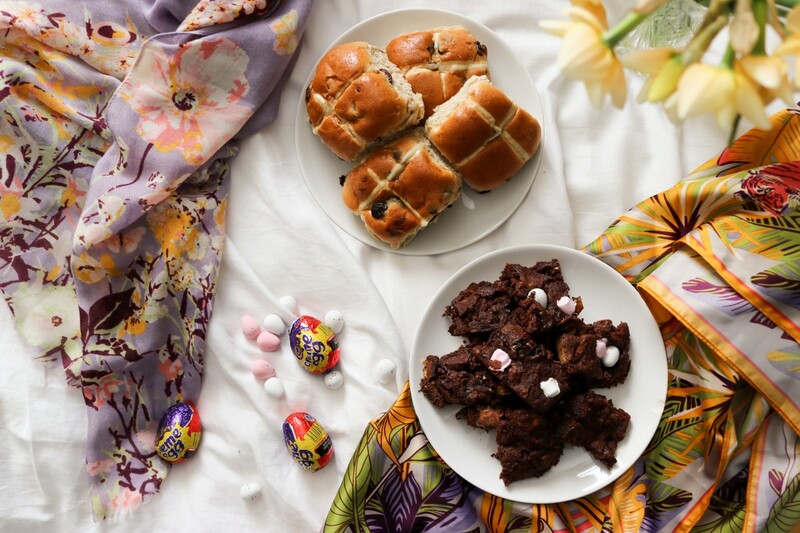 If you've not taken a look at our Easter Egg Rocky Brownie recipe yet, then we hope that this blog post has inspired you to do so! 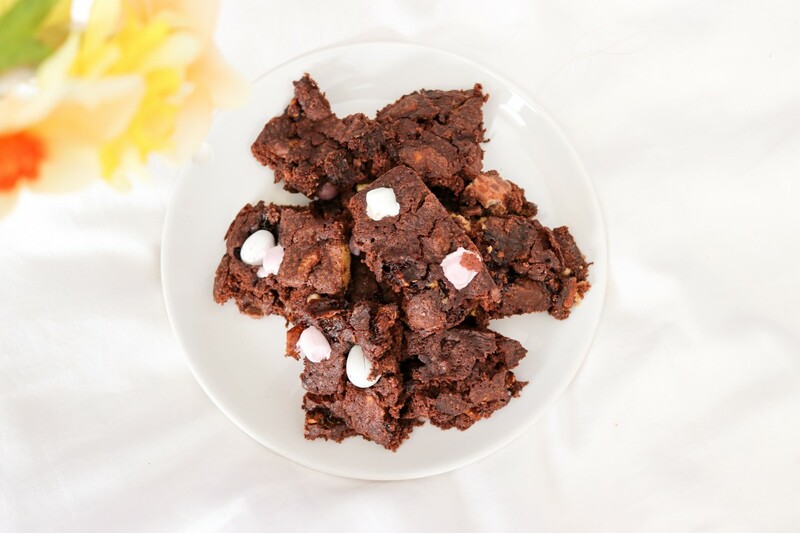 Cramming in digestive biscuits, marshmallows, creme eggs and mini eggs - this brownie has it all! 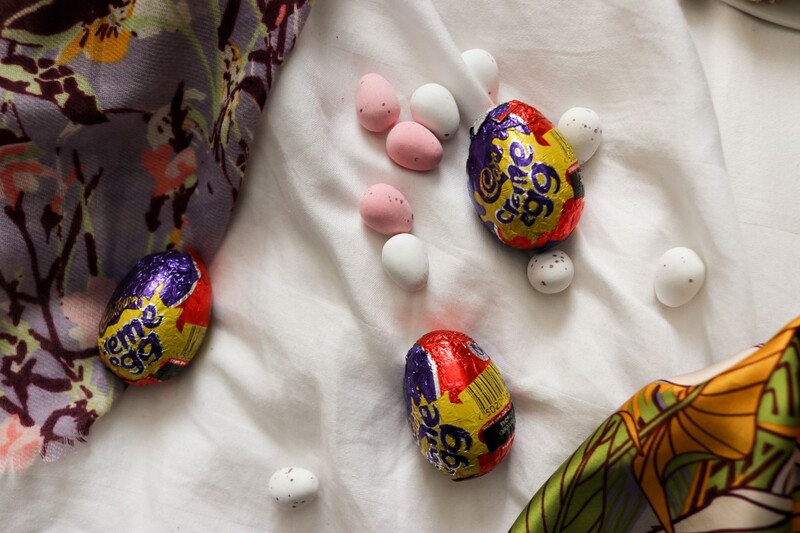 As if you need another excuse to eat chocolate this Easter! Find the full recipe linked here! 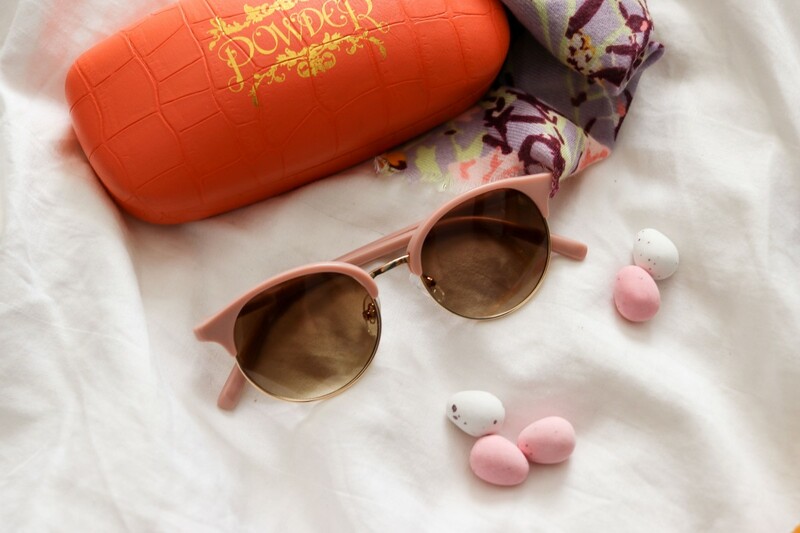 It wasn't until we set our Margot Sunglasses next to our decorative Mini Eggs did we notice how perfectly the two shades of pink match! This pair would additionally bring out the pinks within the Spring Hare Printed Scarf; a cool and classic combination this Easter! They're the mince-pies of Easter, if you ask us! 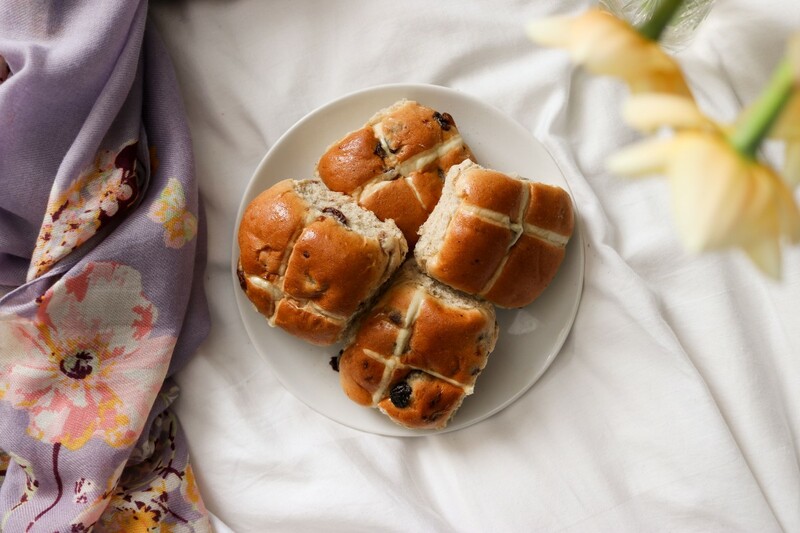 From the moment someone first mutters the word "Easter" there almost immediately seems to be a selection of hot cross buns on offer; whether you're walking through the grocery store or at your mum's for a coffee - lightly toasted and with a spread of butter...don't mind if we do! If you’re anything like us, you will love it when colours match together! This season is fully of deep damson purples and bright mustard yellows - almost golden in shade! 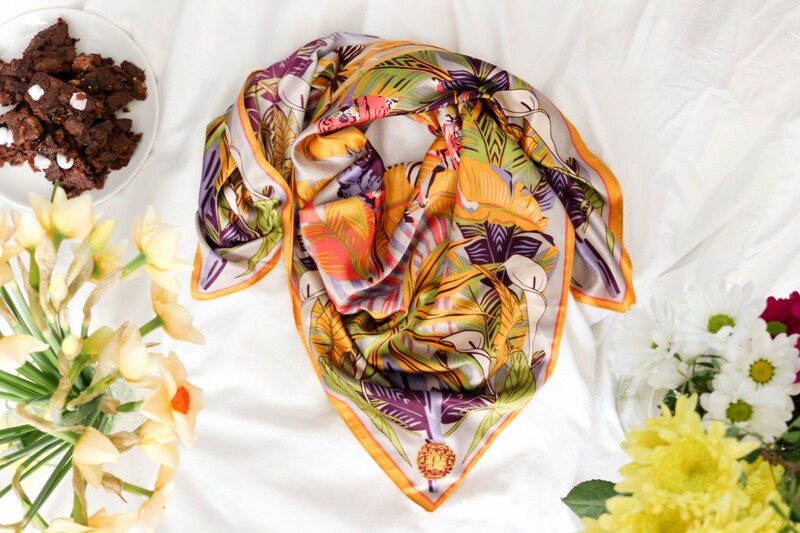 Our Elephant Parade Satin Square is the ultimate scarf to match and style-up with the Easter season; whether you're wearing a pair of our Margot or Audrey Sunglasses, picking up a batch of hot cross buns or putting together a bouquet of daffodils and lavender - it makes for the perfect accessory! 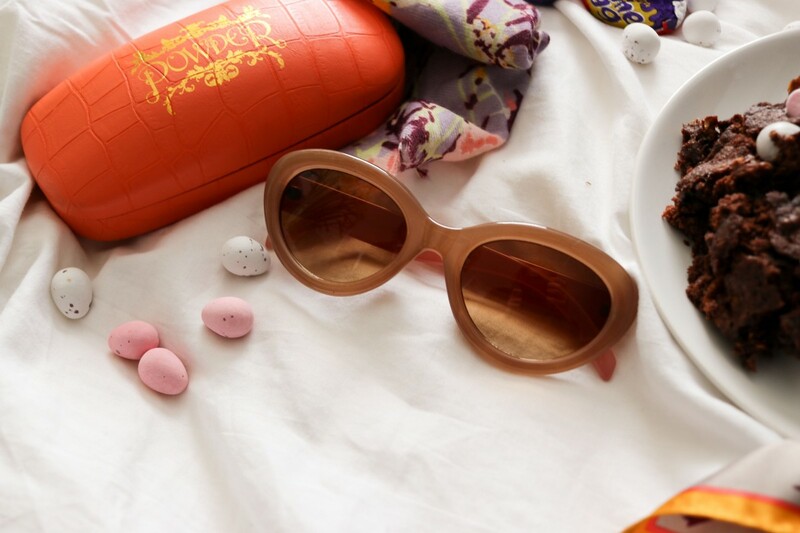 If you love classic styles of sunglasses then you'll love the oval shape of our Audrey Sunglasses! Better yet, they also have a pink detail which is perfect for pairing with some of your other Powder accessories! I can just imagine using the Elephant Parade Satin Square as a head scarf and giving a 1950s film-star vibe already in these! How could we finish up this blog without appreciating how much chocolate you're allowed to eat during Easter? What is one of your favourite treats? Something that reminds you from you childhood? Perhaps you like to binge as soon as you get it...or maybe you'll keep it in the fridge and try to make it last as long as possible? Don't forget to enter our April #photocompetition where you can win a £100 Powder Voucher to use online! All you have to do is take a photo of you and your Powder accessories, upload it here or to Instagram - tagging us and using the hashtag #powderuk! Winners are announced every month - how will you style yours this April?